Sorry, this product is no longer available, replaced by the R6220 AC1200 Smart WiFi Router. Live Parental Controls - Free! 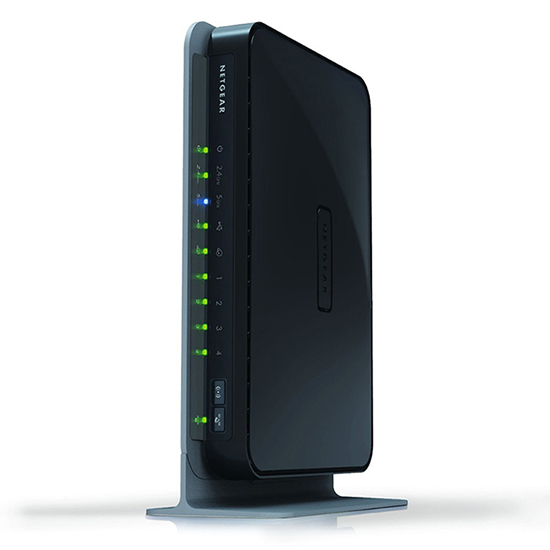 The NETGEAR N600 Wireless Dual Band Gigabit Router is the Ultimate Networking Machine. It offers the high performance wireless Internet access needed for demanding applications, such as streaming HD video and multiplayer gaming. Dual band technology avoids interference, ensuring top speeds and the greatest range, while Gigabit offers ultra-fast wired connections. *Maximum wireless signal rate derived from IEEE standard 802.11 specifications. Actual data throughput and wireless coverage will vary. Network conditions and environmental factors, including volume of network traffic, building materials and construction, and network overhead, lower actual data throughput rate and wireless coverage. NETGEAR makes no express or implied representations or warranties about this product's compatibility with any future standards. Download the NETGEAR WNDR3700 Datasheet (PDF).